I just got this great folding Hand Saw from Lanier. This is a really great little tool to have around. It folds up, it reminds me of a giant Swiss army knife. It’s really convenient though, you can secure the blade and travel anywhere with it. Once open it has a locking mechanism to keep the blade from folding up on you. The blade is super sharp and does a great job of cutting small branches, sticks, wood, etc. It does have a limit but it does a good job on medium to small items. We use our mostly when we go camping. It’s easy to pack, light weight, and doesn’t take up much space when folded. We use it to get branches and wood for the fire. It easily cuts down branches from trees and we can cut them in half to go into the fire with it. We don’t go camping without it! 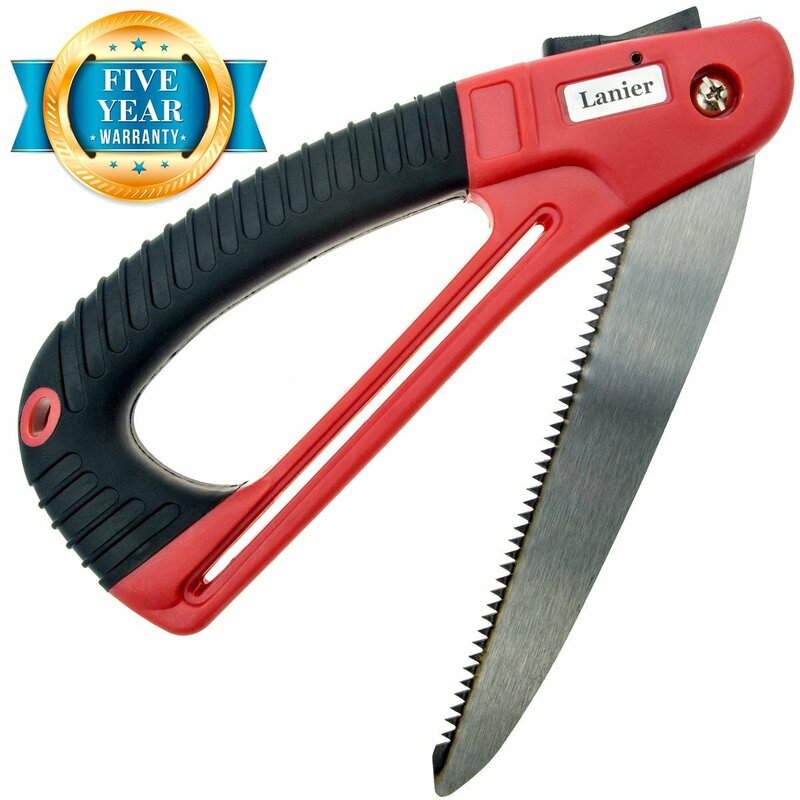 THE IDEAL GARDEN TOOL – Our pruning saw is perfect for pruning unwanted branches in your yard. However this saw is also perfect for camping, backpacking, survival kits, ATVs, Snowmobiles, RVs or anyone needing to quickly cut wood. CAMPING, HIKING, SURVIVAL SAW – The compact folding design makes this saw ideal for emergencies or use in the field. HUNTING SAW – Easily cut through bone and tendons in the field. The compact size makes it easy to carry when out in the woods. COMFORT FOR OLDER HANDS – This ergonomically designed handle makes sawing more comfortable for persons with with reduced hand strength. It’s shape easily allows you to grip the handle with both hands. And the rubberized grip reduces slipping and fatigue.